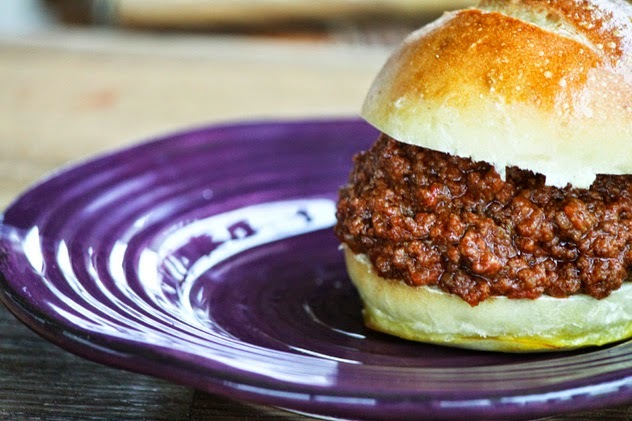 Everyone loves Sloppy Joes, don’t they, and here are The BEST Slow Cooker Sloppy Joes from Food Bloggers. All these are from-scratch Sloppy Joes with no canned soup or packaged mix, enjoy! 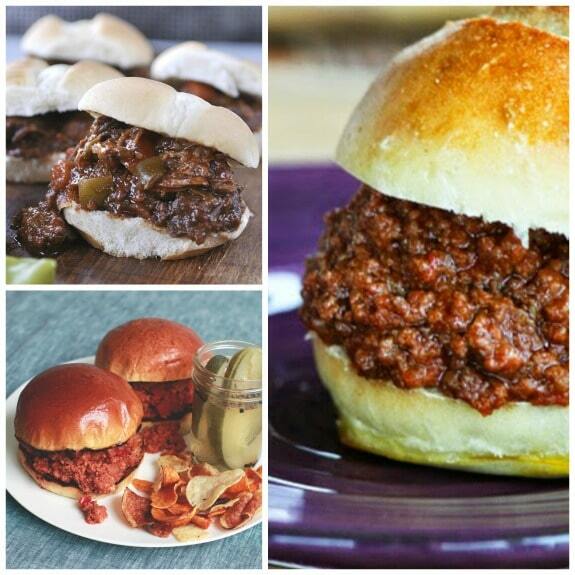 Click here to PIN this tasty collection of Slow Cooker Sloppy Joes! 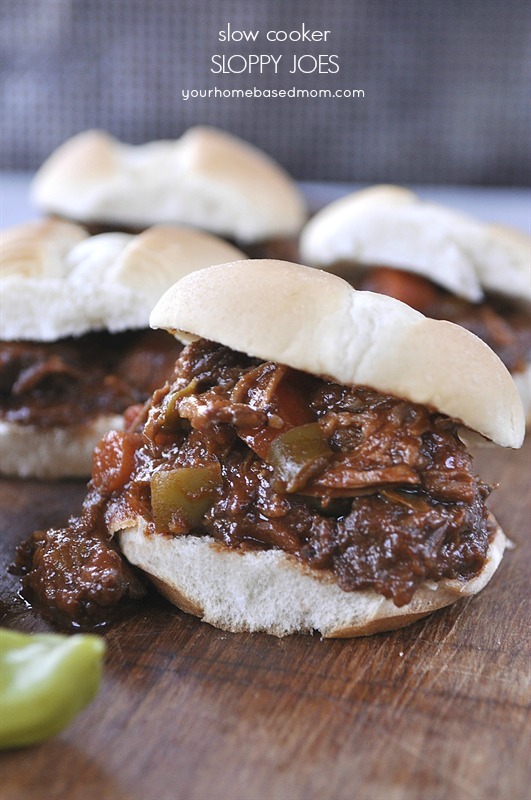 Click here for The BEST Slow Cooker Game-Day Recipes! Sloppy Joes are one of those easy and kid friendly meals that everyone remembers, but when I started saving ideas for The BEST Slow Cooker Sloppy Joes from Food Bloggers I discovered there are some pretty adult versions of Sloppy Joes out there as well. 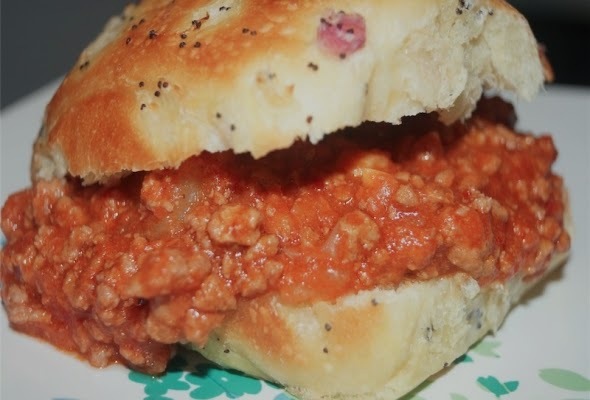 And although you might think of Sloppy Joes as being a summer food, I bet they’re cooked equally as often for school night dinners or football-watching eats. 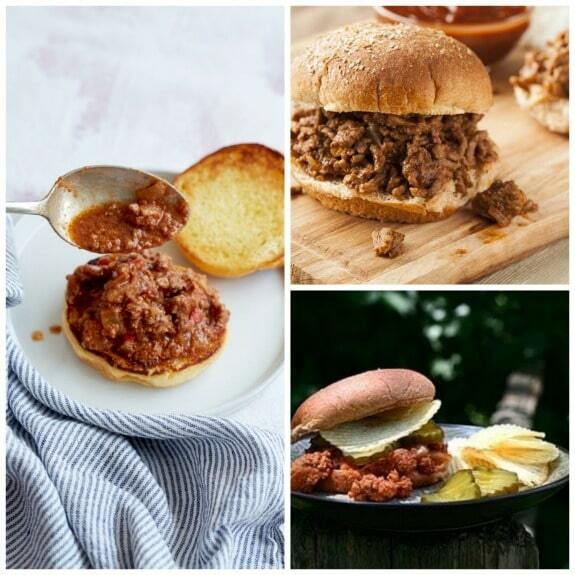 Here are some different recipes for Sloppy Joes, enough to get you through plenty of Sloppy Joe suppers or plenty of game-day noshing! 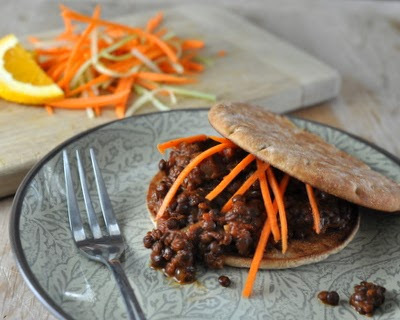 There are Sloppy Joes variations here for everyone, even vegetarian sloppy joes made with lentils! 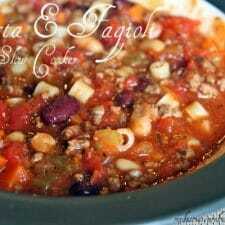 All photos are copyrighted to the blog that posted the recipe. Click the recipe title under each photo to see that recipe on the original blog. 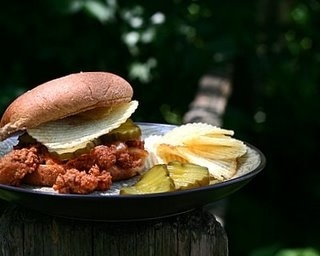 Let’s start with Minnesota Sloppy Joes from Kitchen Parade, shown in the photo above. This recipe sounds like the classic Sloppy Joes I remember from childhood, and Alanna says it’s a family recipe. 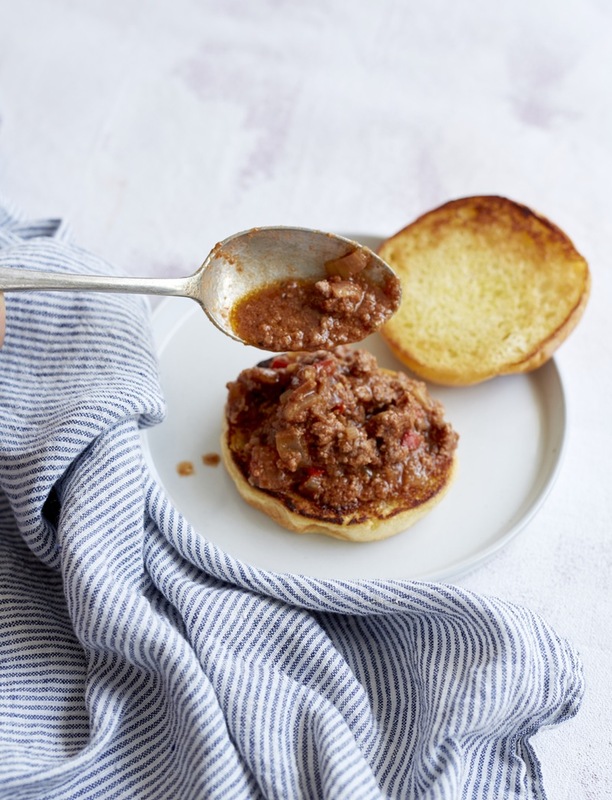 You can learn How to Make Sloppy Joes in the Slow Cooker from The Kitchn. These Slow Cooker Turkey Sloppy Joes also sound good from The Kitchn. 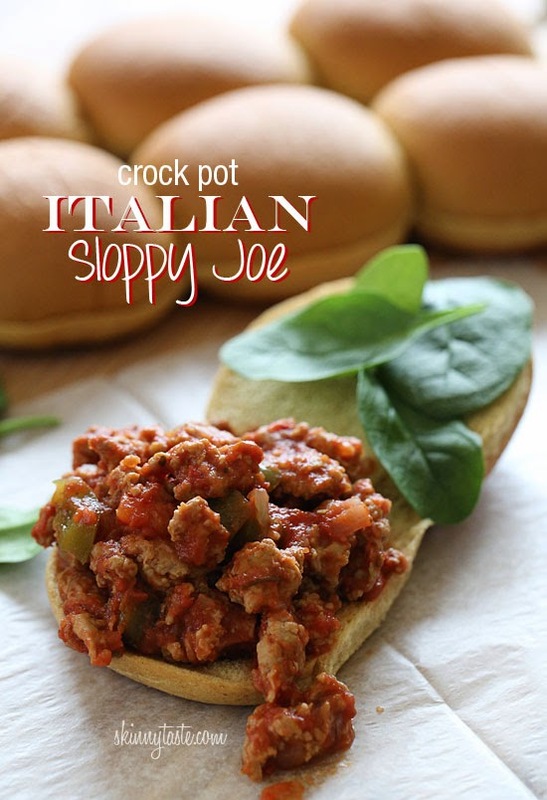 I love the sound of this Crock Pot Italian Sloppy Joe from Skinnytaste, made with turkey Italian Sausage. 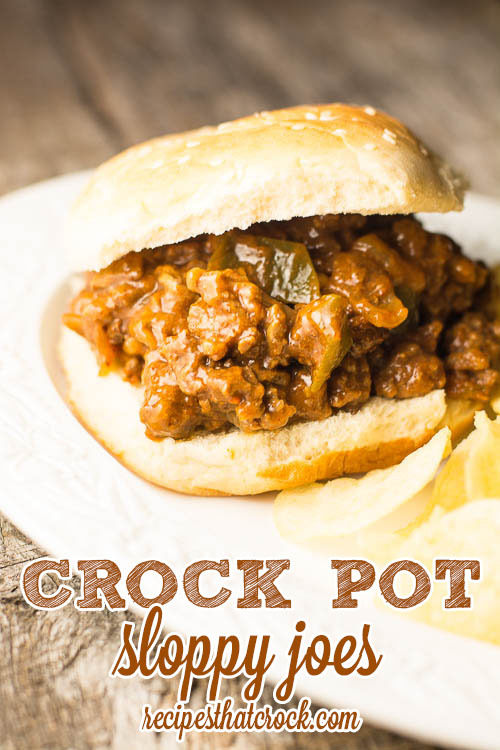 These Crock Pot Sloppy Joes from Food in the Kitchen are a favorite of Gudrun’s kids. The recipe has onion, celery, and red bell pepper as well as some terrific sounding seasonings to flavor the ground beef. Even vegetarians can get into sloppy joes with these Slow Cooker Vegetarian Lentil Sloppy Joes from A Veggie Venture! 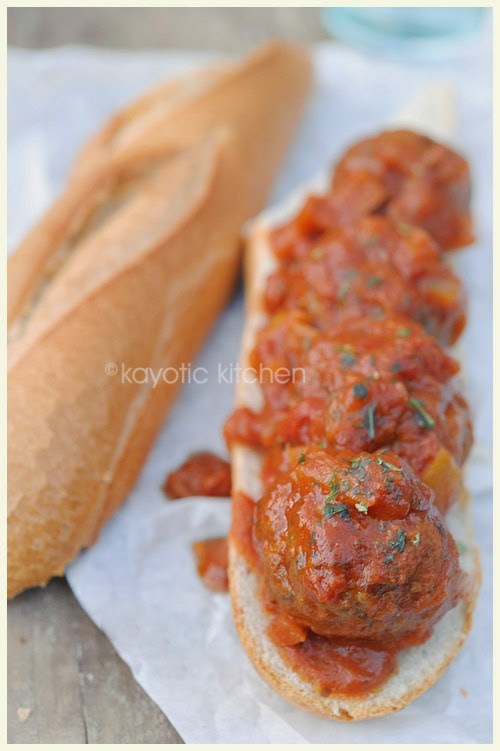 I like recipes that think outside the box a bit, like this Sloppy Joe Meatball Sandwich from Kayotic Kitchen. Slow Cooker Sloppy Joes from Foodie with Family can be made with ground beef or turkey, and this meat mixture freezes well for a make-ahead meal. 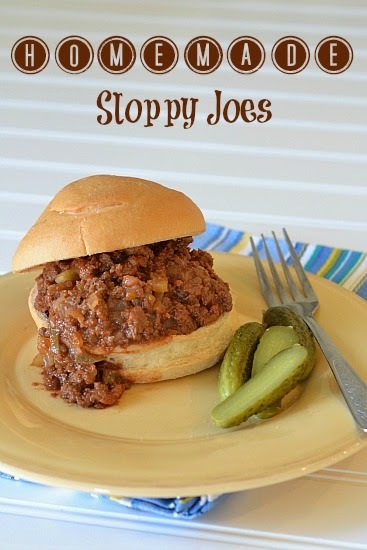 Slow Cooker Sloppy Joes from Your Homebased Mom sound like they have a lot of good flavors! 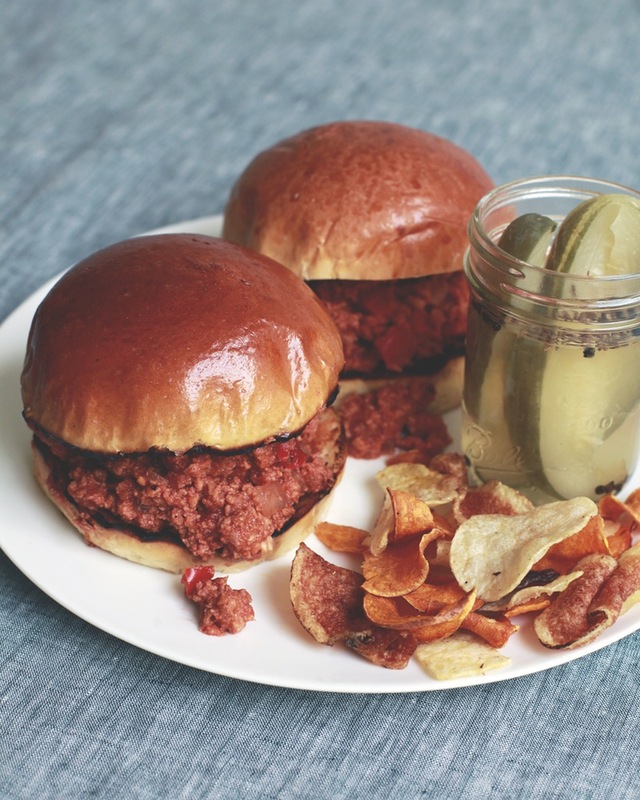 I promised something for the adults, and these Smoky Spicy Sloppy Joes for Grownups from Coconut and Lime have a touch of bourbon in the sauce, as well as a very grown up collection of smoky and spicy flavorings. Slow Cooker Turkey Sloppy Joes from Skinny Ms. sound like a healthy sloppy joe with natural ingredients. 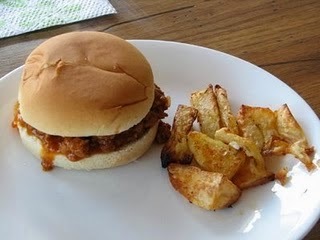 Homemade Sloppy Joes from Simply Sugar and Gluten Free have no added sugar or ingredients containing sugar. 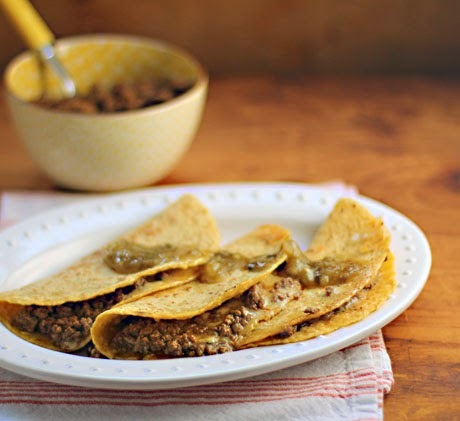 Another think-outside-the-box idea that I love is these Slow Cooker Sloppy Joe Beef Quesadillas from The Perfect Pantry. 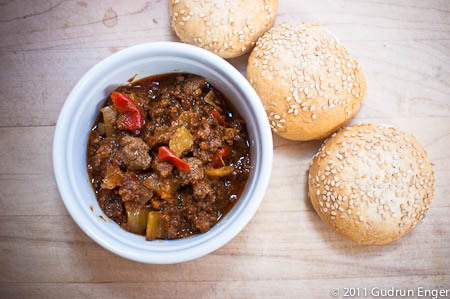 Slow Cooker Sloppy Joes from Slender Kitchen start with extra-lean ground beef. 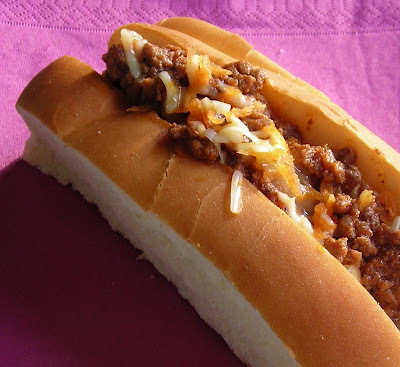 Crock Pot Sloppy Joes from Recipes that Crock sound like the classic sloppy joes every one loves. Slow Cooker Sloppy Joes from Lynn’s Kitchen Adventures combine ground beef and pork sausage, and the meat also has a chopped green pepper added. 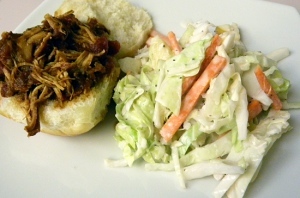 And finally, how about Crockpot Chicken Sloppy Joes from Color Me Pink? Chicken breasts are cooked on low in a smoky barbecue-flavored sauce and then the shredded chicken and sauce is served with cabbage slaw. 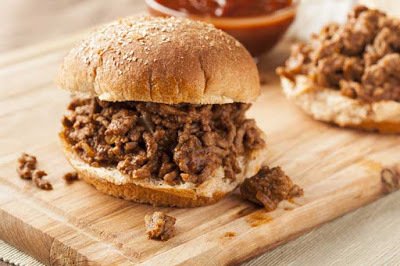 Does your family have a great recipe for Slow Cooker Sloppy Joes? If so, let us know about it in the comments! You're never too old for Sloppy Joes! Thanks for including one of my recipes in this fun collection. Lydia, my pleasure. Love your think-outside-the-box sloppy joes. I love "snobby joes", made with lentils instead of meat, but I've never tried to make it in a crockpot–you've inspired me, thanks for the great roundup! That sounds to me like it would be a great crockpot dish. So glad you enjoyed the round-up!